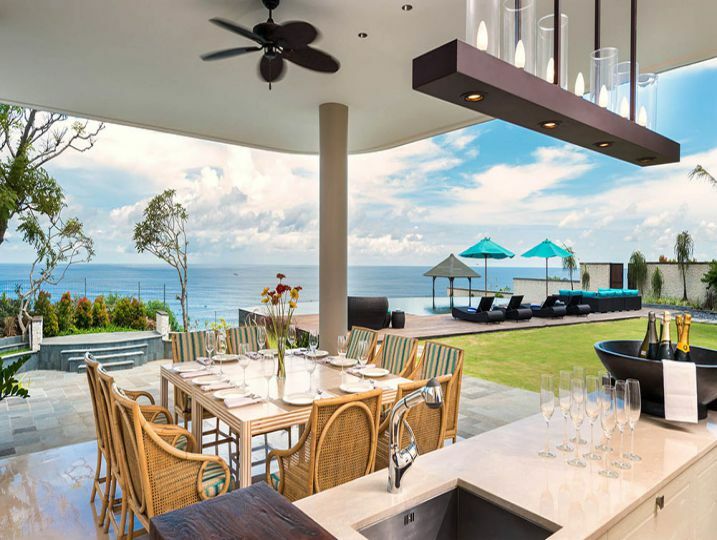 Pandawa Cliff Estate – Villa Marie is one of four exceptional villas that make up the Pandawa Cliff Estate – a hidden paradise located high above the ocean on Bali’s southernmost tip. 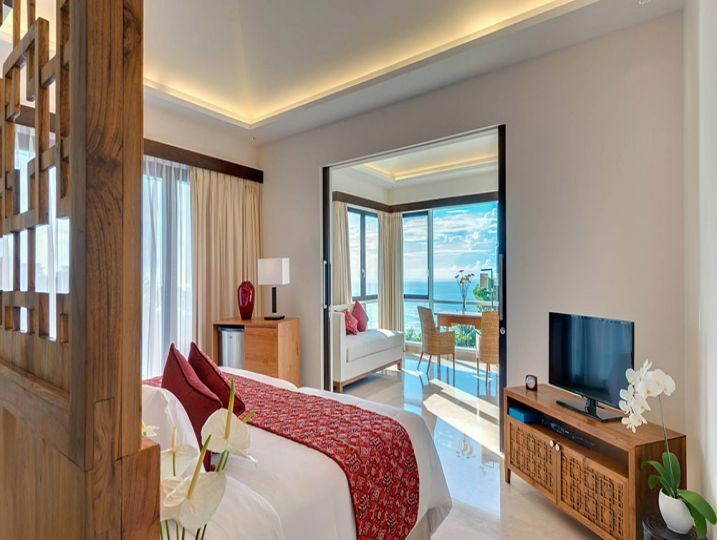 As the estate’s name suggests, the Pandawa Cliff Estate – Villa Markisa villas are positioned on the cliff top overlooking the golden sands of Pandawa Beach. 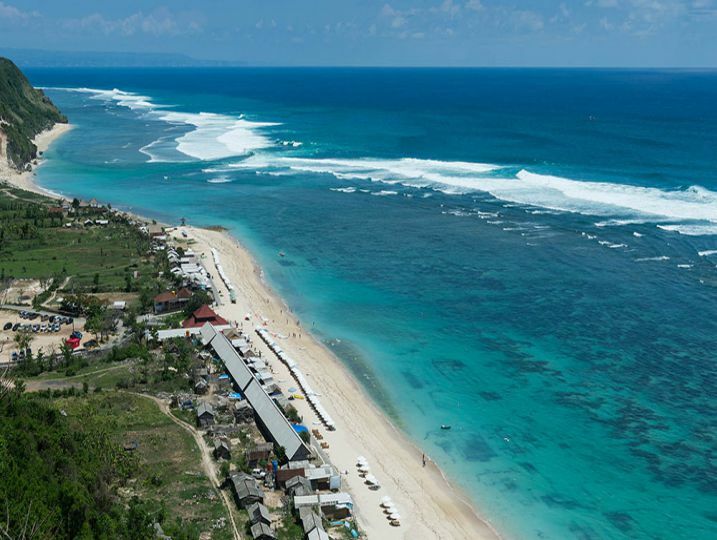 This is glorious, unadulterated, spectacular Bali at its best: far from the hoi polloi of Seminyak and Kuta, yet less than half an hour’s drive from the airport and many of Bali’s top attractions, including the sacred temple of Uluwatu and the fine dining establishments of Jimbaran and Nusa Dua. 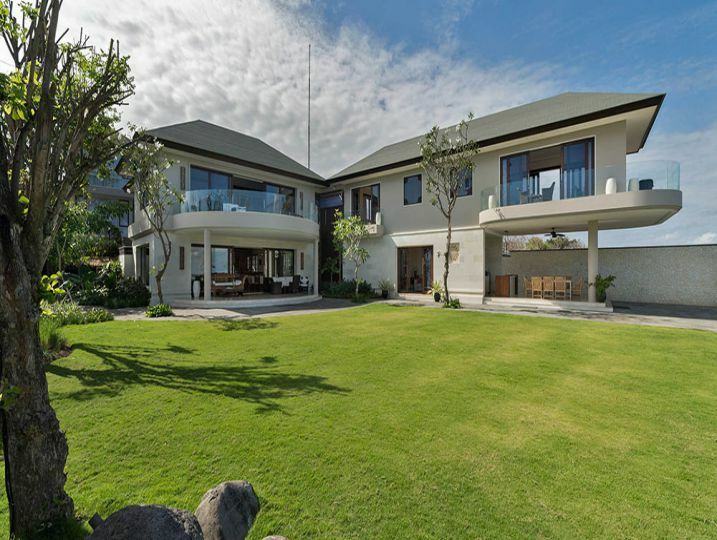 Together, Pandawa Cliff Estate – Villa Rose and Villa Marie offer a total of 21 bedrooms, capable of sleeping, 42 adults. 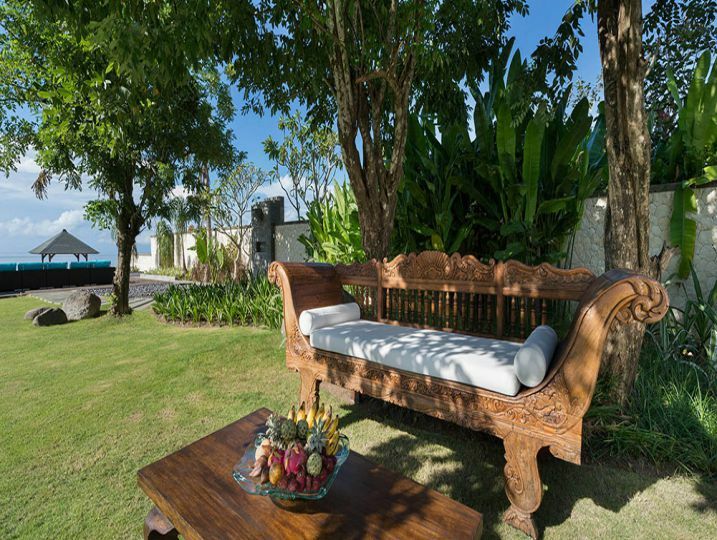 This, coupled with the superbly landscaped cliff top gardens, extensive decked areas, a huge team of professional yet personable staff and purpose-designed guest facilities, make The Pandawa Cliff Estate – Villa Marie a wedding and special event venue par excellence. 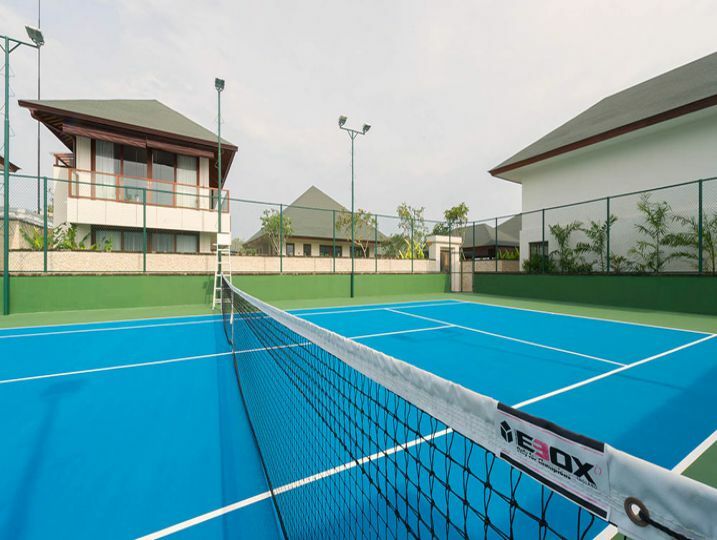 The four villas also share a sports center with full-size tennis court, squash court, gym, and spa. 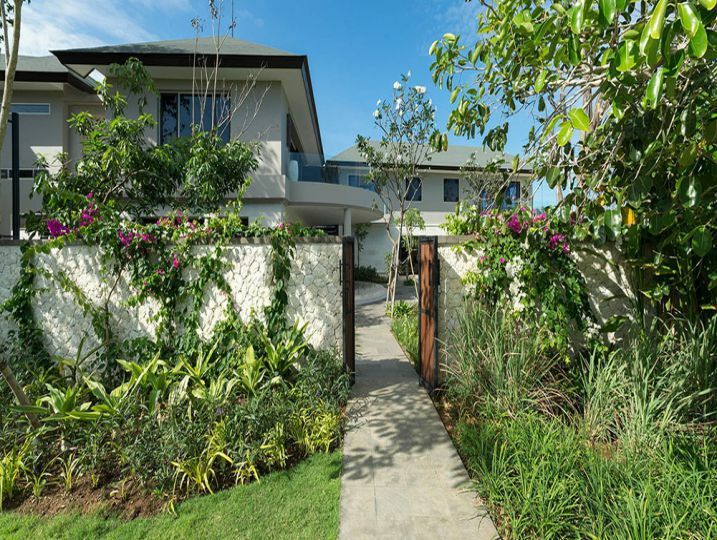 Privacy is in no way compromised, however, and each villa is sweetly secluded within its own extensive walled gardens. 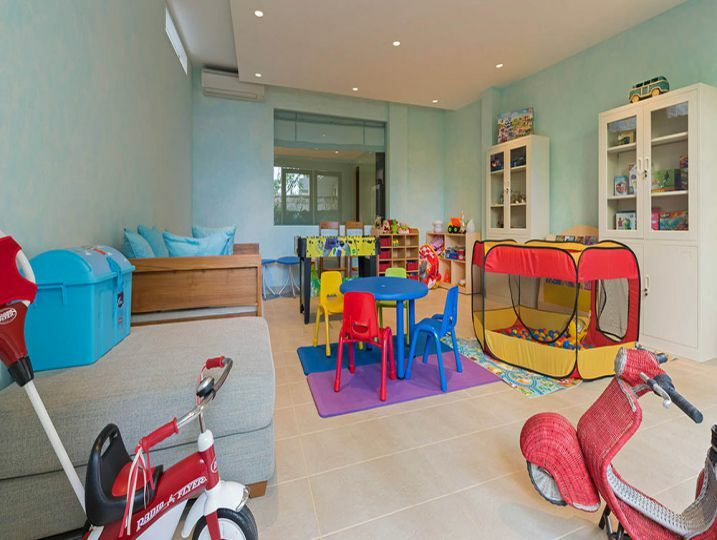 Pandawa Estate Complex (Rose + Marie + Pala) & Villa Marie’s layout is particularly family-friendly. 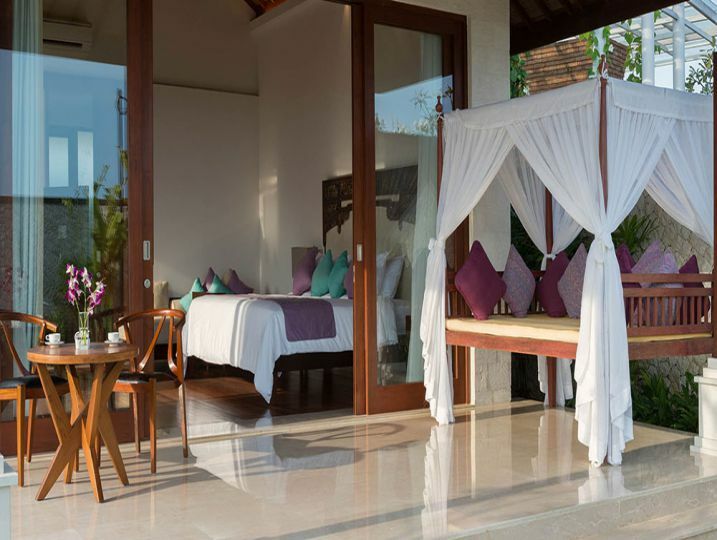 Bedrooms are arranged around the 16-meter pool, a centrally situated living pavilion and a large barbecue balé. 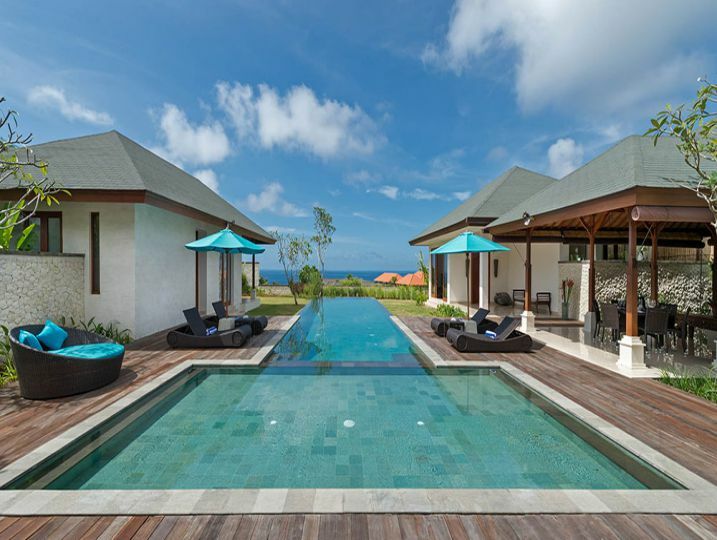 Four of the six bedrooms occupy a double-story building towards the back of the villa, with two master bedrooms in stand-alone pavilions to the front. 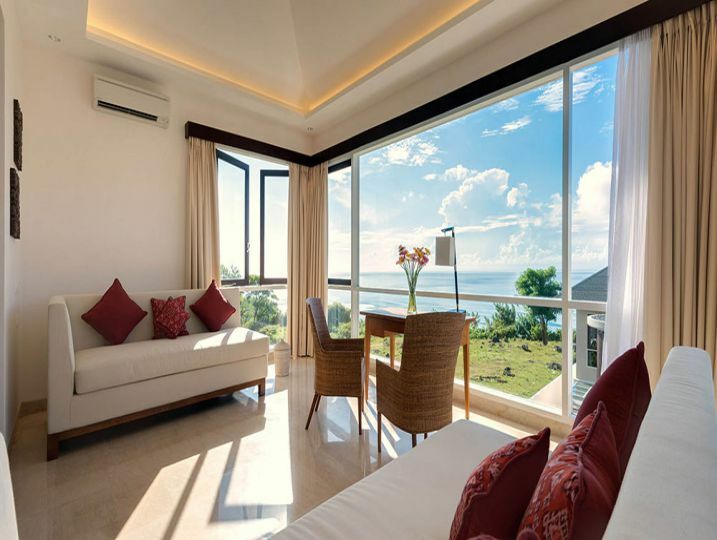 Although Pandawa Cliff Estate – The Pala Villa Marie is set slightly further back than the other Pandawa Estate Complex (Rose + Marie + Markisa) & Pandawa Cliff Estate villas, the ocean can still be seen from most rooms. A skilled private chef heads the estate’s staff kitchen, and he and his team prepare and serve a wide range of gastronomic delights from a restaurant-style menu. The Pandawa Estate Complex (Marie + Pala) villas are neatly maintained, inside and out, by a small army of housekeepers, gardeners and pool attendants, and guarded by a team of diligent security staff, while two seven-seater cars with drivers are on standby for guests who wish to explore this delightful corner of the Island of the Gods. Main Living Area (Enclosed living area, Ceiling fan, Television with international channels & DVD player, HiFi sound system). Bedroom 1 (Ensuite bathroom with bathtub. King size bed, Air-conditioning & ceiling fan, Television with international channels & DVD player, Wardrobe with safety deposit box, Study desk). Bedroom 3 (Ensuite bathroom with bathtub, Air-conditioning & ceiling fan, Television with international channels & DVD player, Wardrobe with safety deposit box, Study desk). Bedroom 4 (Ensuite bathroom with bathtub, Air-conditioning & ceiling fan, Television with international channels & DVD player, Wardrobe with safety deposit box, Study desk). Bedroom 5 (Ensuite bathroom with bathtub, Air-conditioning & ceiling fan, Television with international channels & DVD player, Wardrobe with safety deposit box, Study desk). Bedroom 6 (Ensuite bathroom with bathtub, Air-conditioning & ceiling fan, Television with international channels & DVD player, Wardrobe with safety deposit box, Study desk). Kitchen and Dining (Enclosed kitchen & dining area, Water Dispenser, Microwave Full-size refrigerator). Communication (Free WiFi internet, Telephone). Miscellaneous (Iron & ironing board available, Baby cot & high chair available, Back-up power supply (e.g. Generator)). Services Performed by Staff (Villa Manager, Butler, Cook, Driver, Housekeeper, Swimming Pool Attendant, Garden Attendant). Property Outlook (Rice field views, Swimming pool views, Garden views). 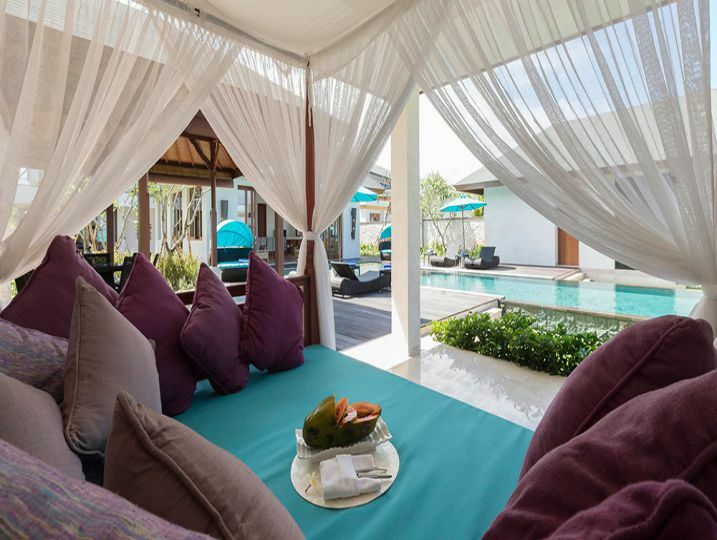 Swimming Pool Area (Private swimming pool & jacuzzi, the Swimming pool has shallow step-in, Swimming pool child safety fence available – charges apply, Poolside sunlounges with umbrellas, Bale’ (small Balinese gazebo)). 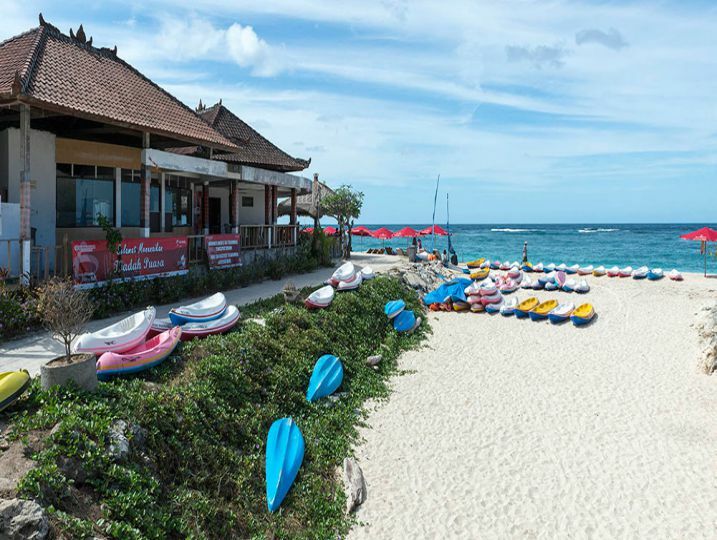 Airport transfer (arrival only), Welcome drink upon arrival, Free Wi-Fi, Daily Breakfast, Drinking water replenished daily, Coffee & tea, Housekeeping service daily). 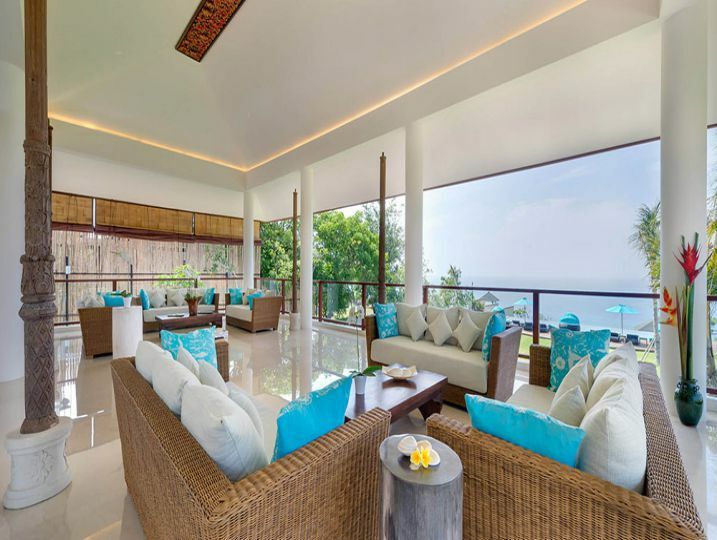 Pandawa Cliff Estate – Villa Marie is available for selected dates.